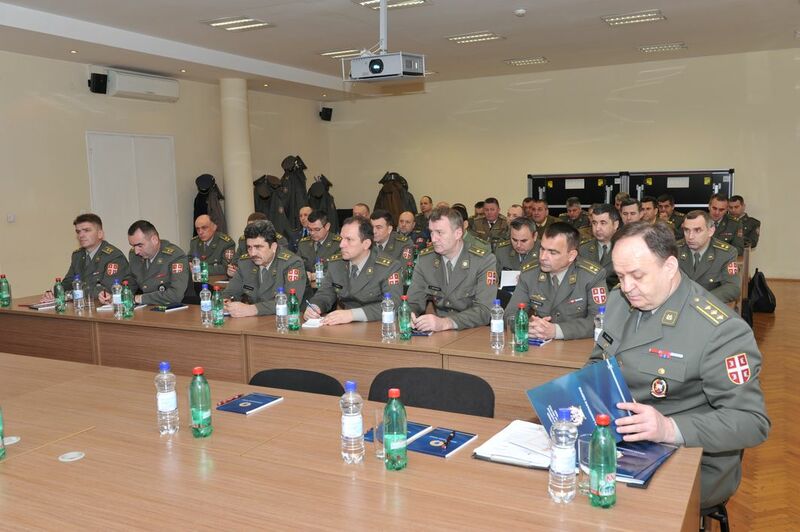 Today, the attendees of the 59th Class of the General Staff Course have paid the visit, according to the plan of the Course, to the Military Intelligence Agency (MIA) of the Ministry of Defence of the Republic of Serbia. 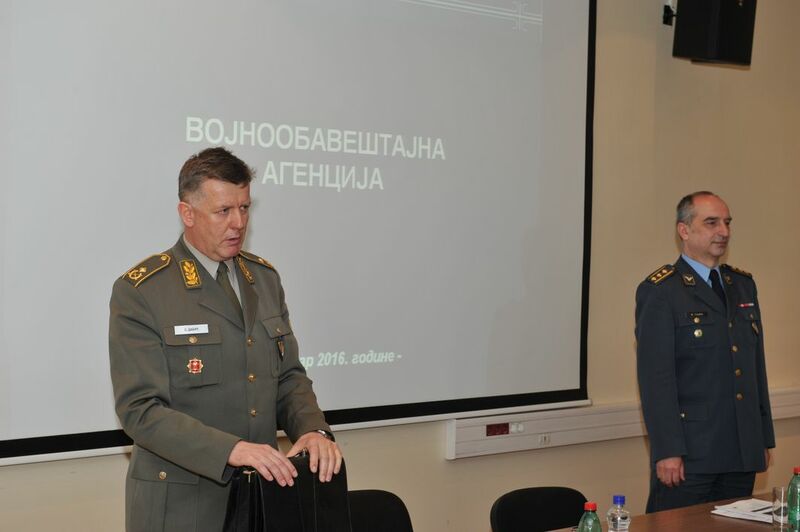 The MIA’s Director Brigadier General Slavoljub Dabic expressed his satisfaction with this visit which year after year confirms the importance of the officers training. "I expect that we will continue with this tradition in the future and hope that the knowledge you gained here will help you to carry out your future tasks. 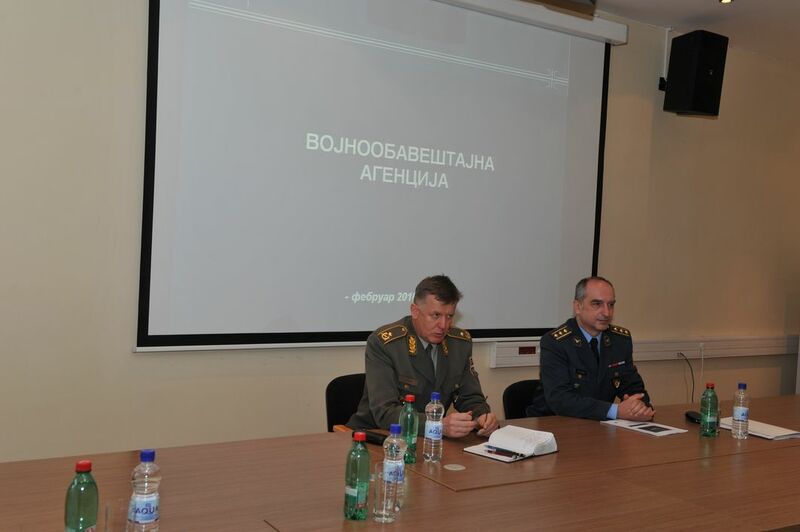 Since you are the future leaders in the Serbian Armed Forces and the Ministry of Defence you should know the role of the Military Intelligence Agency within the security- intelligence system of the Republic of Serbia and be aware of complexity, sensitivity and importance of the activities which the Agency performs for the defence system", emphasized the Brigadier General Dabic. The Director of the MIA informed the attendees of the 59th Class of the General Staff Course on the key elements of the Agency’s work, the legal framework, organizational structure and the activities of the Military Intelligence Agency. In the addition, the visitors were briefed about the missions, competences and tasks of certain organizational units of the Agency.